But most of all, it is incredibly exciting to see something working. It will energize you, your team and the stakeholders. Taking my own advice, Wyatt Webb, our lead iOS engineer posted the very first build of Triples, a new strategy board game. Below is a screenshot of the first internal release and a polished mock-up from Jim Patterson on where we want to wind up. But most important, I can test this and future builds with players and get important feedback on how they interact with the game. Players might move pieces differently then what I imaged. Players might prefer one orientation over another. The more you test these early versions with people the more you can improve the app. This first build is human vs. human, the next build will have the first pass of human vs. computer. Leveling the different computer levels will be a challenge so the sooner we start on that process and get feedback the better. Don’t wait for your team member to say they want it perfect or polished before they show their work. The goal is to get to screen early then learn, iterate, repeat, improve, and have fun. If you would like to try Triples and give us feedback, you can sign-up at http://smartboxgames.com/support. Simply fill out the form provided on the page. Please share this article with your team members and clients. Thank you. I am a freelance Project Manager, wire-framing aficionado and QA Engineer. If you are in need of a Project Manager please contact me through LinkedIn or email me at todd@smartboxgames.com. I love designing Android, iOS and Web Apps. Earning today’s top score is just a tap away in the new Farkle Solo for Android release. We updated the app to run great on all new Android phones, including the new Nexus 6. We rewrote How to Play and we integrated Farkle Solo with Firebase from Google which allows us to improve the game through error reports. Thank you to our players for the great suggestions and bug reports. Our goal is for you to have the best gaming experience and we couldn’t do it without you. Let us know what you think by sending us an email. We recommend you update as soon as possible. We rely on word-of-mouth, please let your friends and family know about Farkle Solo. How to Play – It now includes several images to clarify game play and you can now printable. The latest version of Farkle Solo links to the improved How to Play. Scroll down to access the Print button. Notifications – We want to make sure you know when new versions are available. This is an optional setting that you can turn on or off at any time. Error Checking – Google’s Firebase sends us a report on how our code is doing. This report will tell us where our code is not running as efficiently as it could or if Farkle Solo had problems executing on a new CPU. Since there are thousands of different Android phones and tablets worldwide we appreciate the report. Now when you purchase a new phone Farkle Solo will still run correctly. 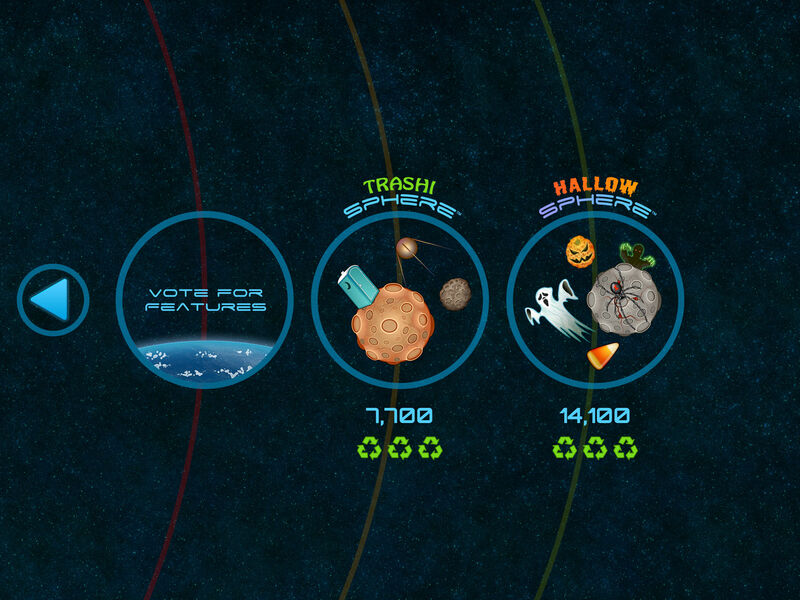 Vaporizing Asteroids is now just a tap away in the new Space Waste release. We updated the app to run great on all new iPads, including the Pro and Mini. There’s a brand spanking shiny new help showing how to play and numerous fixes to make your garbage collecting and asteroid detonation experience better than ever. Let us know what you think by sending us an email or take the latest poll, built right into the app. Android, Smart Box Games, WordPop! WordPop! for Android has been updated and includes great new features and smoother game play. Thank you to our players for the suggestions and bug reports. Our goal is for you to have the best gaming experience and we couldn’t do it without you. How to Play – It now includes several images to clarify the rules and you can now print out the rules. The latest version of WordPop! now links to the improved How to Play. Making sure you have a great gaming experience also means having WordPop! play well on the latest phones and tablets while simultaneously supporting older phones. Error Checking – Google’s Firebase now sends us a report on how our code is doing. This report will tell us where our code is not running as efficiently as it could or if WordPop! had problems executing on a new CPU. Since there are thousands of different Android phones and tablets worldwide we appreciate the report. Now when you purchase a new phone WordPop! will still run correctly. Android Studio – This is an entirely new set of tools released by Google to develop Android apps. Switching to it was a significant amount of rework of the code. But the change resulted in WordPop! running faster and smoother. We rely on word-of-mouth, please let your friends and family know about WordPop! Our goal is for you, our players, to have a great gaming experience. Our games should be fun, beautiful, intuitive to play and engaging. To accomplish this, we spend quality time on features you see. How to Play – It now includes several images to clarify the default rules and rules customization and you can now print out the rules. A printout is helpful when teaching your friends how to play. How to Play was also reformatted to be easy to read on phones. The latest version of Farkle Dice now links to the improved How to Play. Selecting Players – I received a few support emails asking how to select human or computer players. In response, I changed the headings within the Players setup screen making them more descriptive, Play Against the Computer vs. Play Computer, Number of Players: Two vs. Players: Two. Although these changes are subtle it clarifies the action. Making sure you have a great gaming experience also means having Farkle Dice play well on the latest phones and tablets while simultaneously supporting older phones. Error Checking – Google’s Firebase now sends us a report on how our code is doing. This report will tell us where our code is not running as efficiently as it could or Farkle Dice had problems executing on a new CPU. Since there are thousands of different Android phones and tablets worldwide we appreciate the report. Now when you purchase a new phone Farkle Dice will still run correctly. Android Studio – This is an entirely new set of tools released by Google to develop Android apps. Switching to it was a significant amount of rework of the code. But the change resulted in Farkle Dice running faster and smoother and I’ve noticed the dice rolls are very fluid on my Nexus 5x. To get the maximum Farkle Dice gaming experience, we recommend you update as soon as possible. We rely on word-of-mouth, please let your friends and family know about Farkle Dice.